My Exodus is actually a mirror of the story in the Bible. The Israelites were desperate to leave Egypt, and I really didn't want to leave Etsy. In this case, the ten plagues are Etsy policy changes that have diminished the artists who gave Etsy its foundation, as opposed to the Bible's plagues being directed toward the tyrannical Pharaoh. The Pharaoh needed convincing to release his Israelite slaves, so God sent him a message through a series of plagues. Artists who have objected to the direction Etsy has chosen in recent years have had virtually no format in which to voice their opinions on the policy changes as Moses did (and not even one plague to throw their way). The analogy I am using is not intended to be disrespectful of the Bible, or of Etsy. The Biblical story of Exodus was one of total enslavement of the ancient Israelites, an entire race of people. I am not a captive; I am free to leave any time I choose, as hundreds if not thousands of other artists have already done. The simple motivation for Etsy is financial, as it was for Pharaoh. Pharaoh wanted cheap labor. Etsy has decided that their future depends on volume sellers, and so the independent artists that helped them establish a substantial online selling platform, are no longer a priority. It's a business decision for Etsy, as it is for me as well. As my items expire on Etsy, I will move them to my web store here on Indiemade, at slightly lower prices since I won't have Etsy fees to consider. Bi-weekly special offers to highlight new items, or a specific theme. Incentives to subscribe to a informative mail list, so you won't miss the latest news. Loyalty rewards for all those lovely people who keep me motivated and inspired. There is always something positive that comes out of life's difficult decisions. 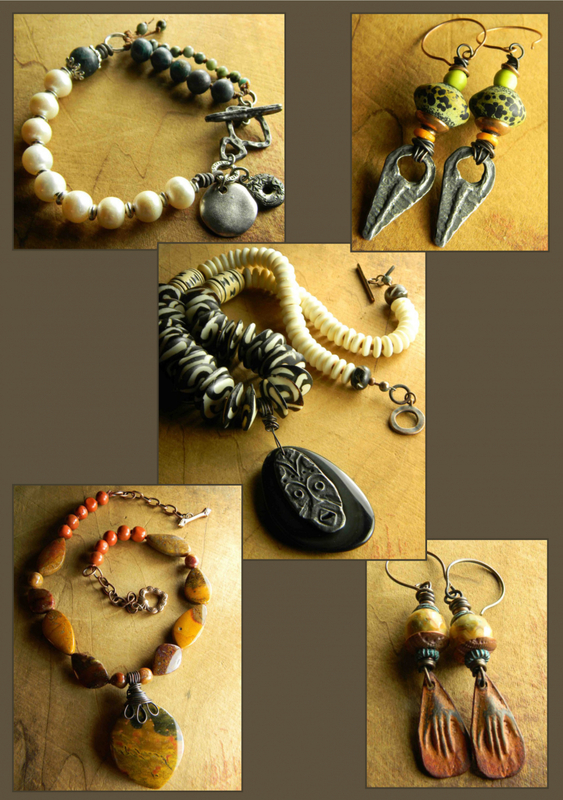 In this case, I will be able to devote much more time to making Chrysalis Tribal Jewelry a better shopping destination. But it really is about more than shopping. It's about nourishing what makes each of us an individual, the part that makes me a "one of a kind". Thanks for writing this, it’s helping me make my own Etsy exodus decision. Thank you, Deb! Each of us has to evaluate their own experience on Etsy. I did very well for a time, and then felt helpless as I watched my sales continue to decrease each year. I have tried many promotions, and nothing has worked.